Travels With a Donkey is regarded as a classic of travel writing and an early inspiration for the idea of long-distance walking for pleasure - many a modern traveler follows the Stevenson Trail, now part of France's national network of long-distance walking routes. . . .I asked one of the children where I was. At Bouchet St. Nicolas, he told me. Thither, about a mile south of my destination, and on the other side of a respectable summit, had these confused roads and treacherous peasantry conducted me. My shoulder was cut, so that it hurt sharply; my arm ached like toothache from perpetual beating; I gave up the lake and my design to camp, and asked for the auberge. Despite the advice and concerns of his wife and the friend dragged along on his last travel book, Stevenson decides to hike through rural France. A couple days of hiking lead to the idea that he should buy a donkey to carry his baggage and everything will go smoothly. Every book is, in an intimate sense, a circular letter to the friends of him who writes it. They alone take his meaning; they find private messages, assurances of love, and expressions of gratitude, dropped for them in every corner. The public is but a generous patron who defrays the postage. Non so perché Stevenson, che è sempre stato cagionevole di salute, abbia deciso di intraprendere questo viaggio proprio in autunno e non in una stagione più mite, ma i dodici giorni trascorsi nelle Cevenne in sua compagnia (e di Modestine) sono stati una continua meraviglia. 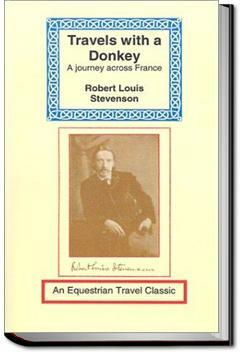 Robert Louis Stevenson’s account of his 12 day hike through the Cévennes mountains in Southern France, accompanied only by his determined and sometimes stubborn donkey Modestine.